WANTED TO BUY: Any and all artifacts. 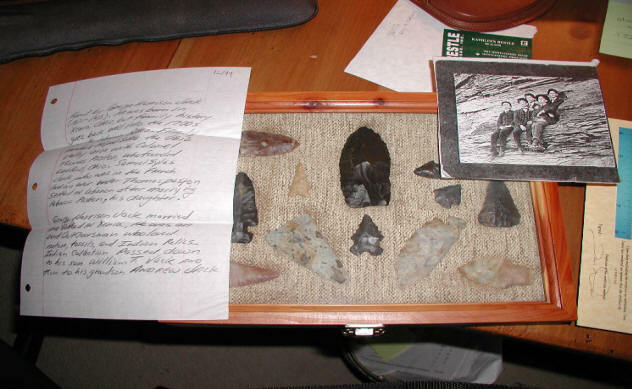 If you have a box of arrowheads or a large collection, I am interested in purchasing. You can either send me an EMAIL to jondickinson75@cinci.rr.com , or give me a call at #513-509-7420. Pictured above is a collection I purchased. I strive to keep the original name attached to the collection and honor the person who found the artifacts. The seller of the collection furnished me with a written history of his grandfather and a picture of him from the late 1800's. I arranged the pieces in a wooden frame and take the display to artifact shows for display.